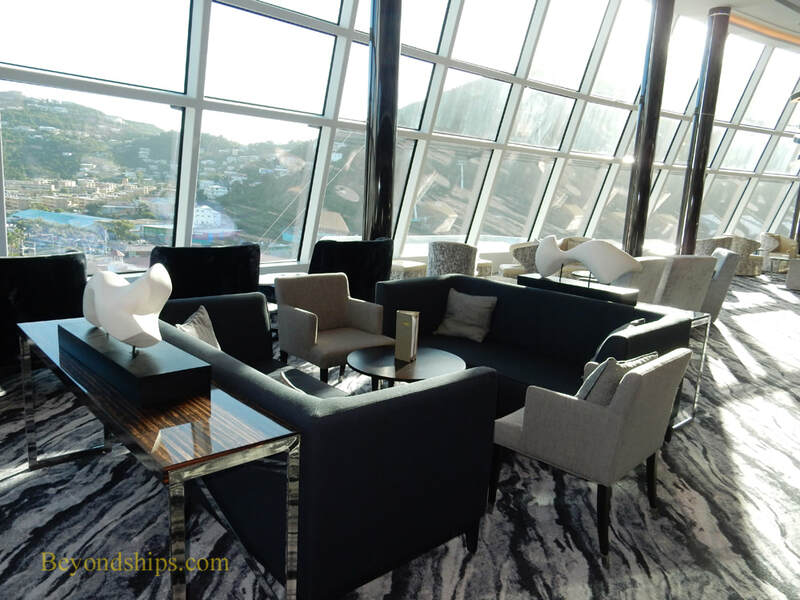 The crown jewel of the innovations on Norwegian Bliss is the Observation Lounge. Located at the forward end of the superstructure on Deck 15, its large windows provide panoramic views forward over the bow and to port and starboard. 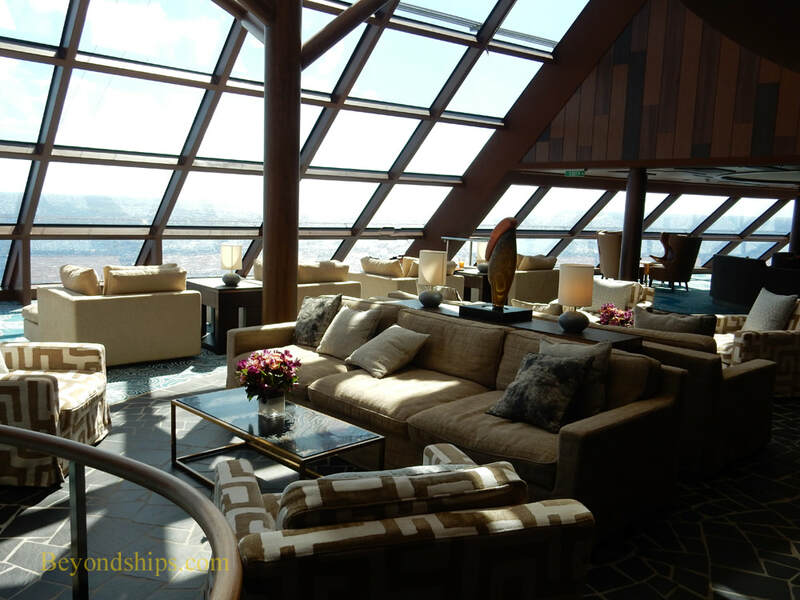 Many ships have observation lounges. 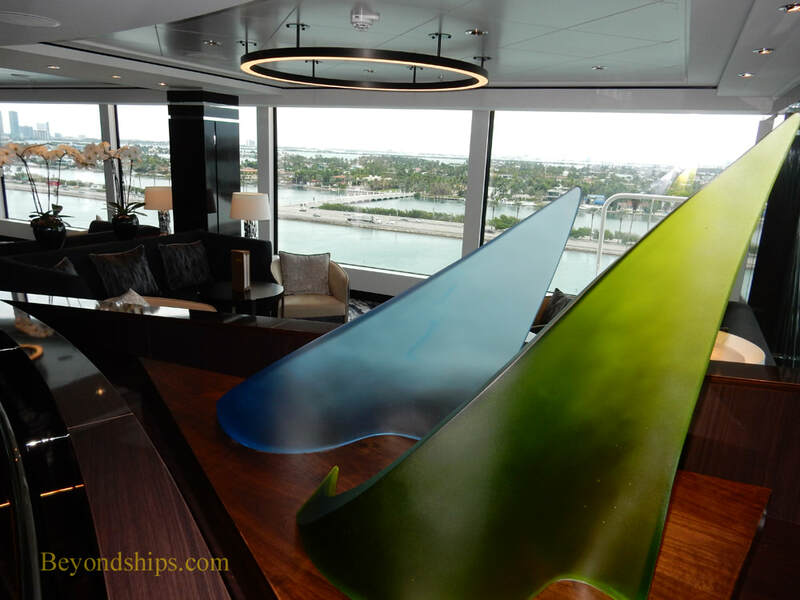 Indeed, Norwegian's Jewel class ships have them. However, this is a much larger venue that includes not only a bar but also buffet stations that offer breakfast and lunch. Furthermore, the seating is arranged in sections giving it a relaxed, rather intimate living room atmosphere. 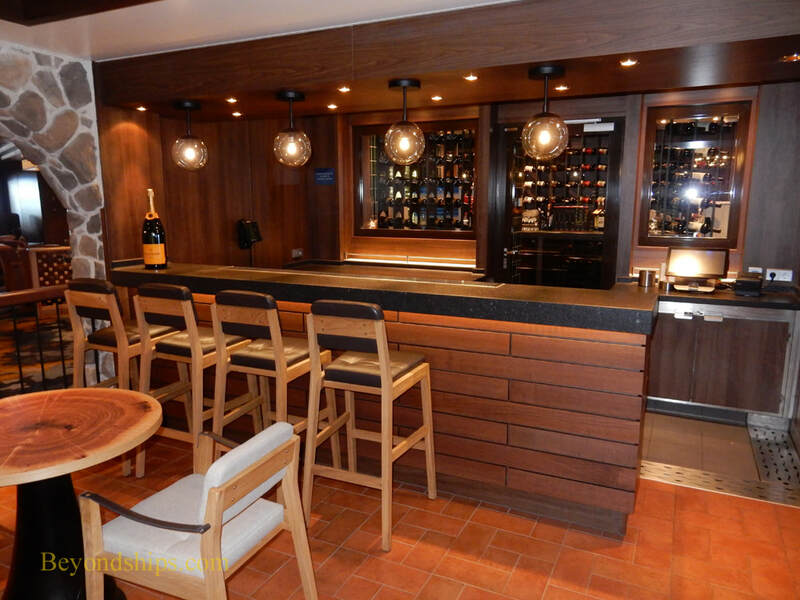 The Cellars Wine Bar offers not only glasses of wine but wine seminars and wine tastings. 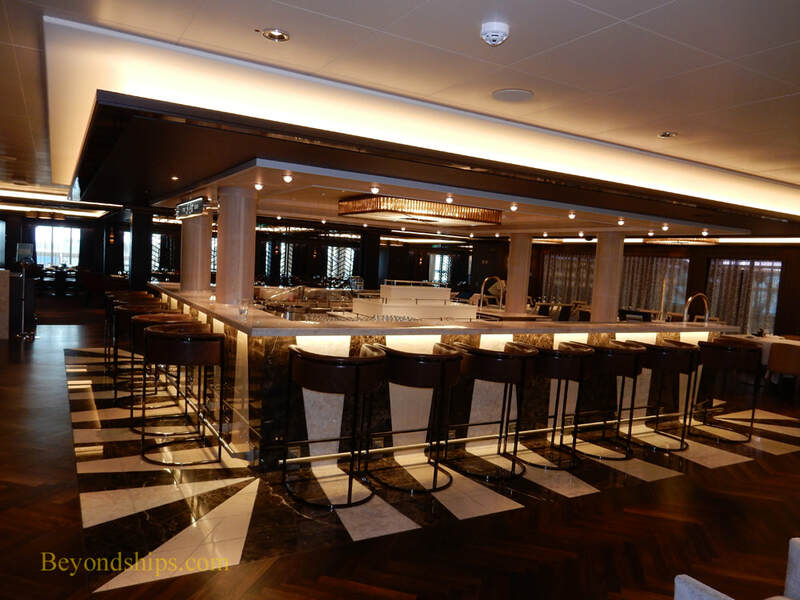 It is located on Deck 8 adjoining La Cucina specialty restaurant. Nearby is the District Brew House. 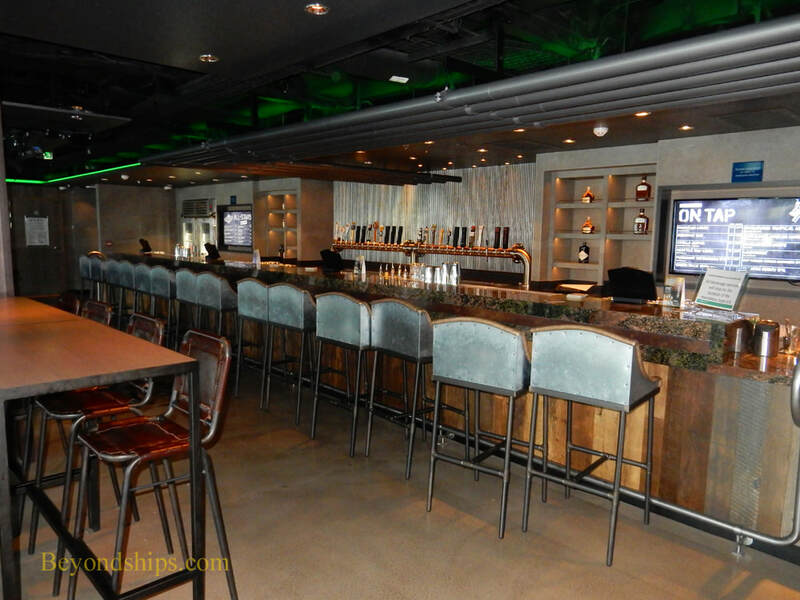 This bar features 24 draft beers on tap and 50 bottled beers. Large LED screens show sporting events. 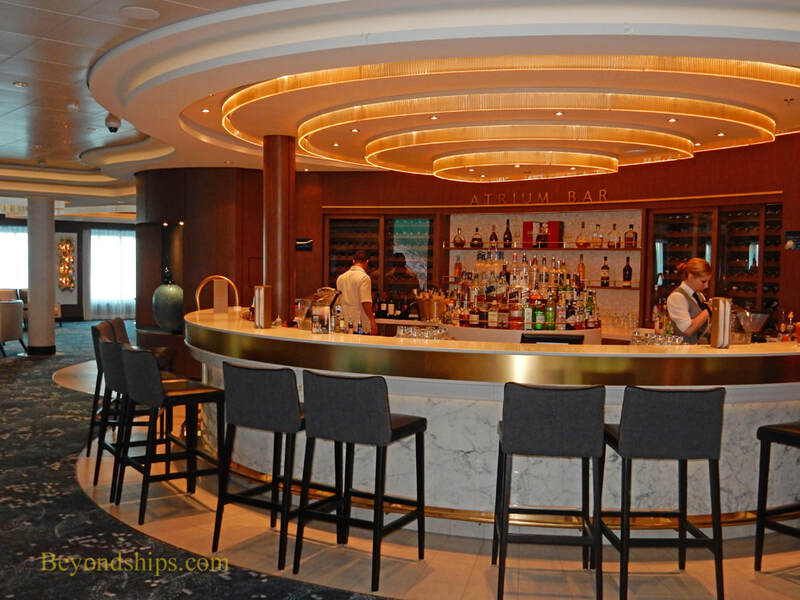 On the starboard side of Deck 8 is a long-time Norwegian standard Maltings Whiskey Bar. 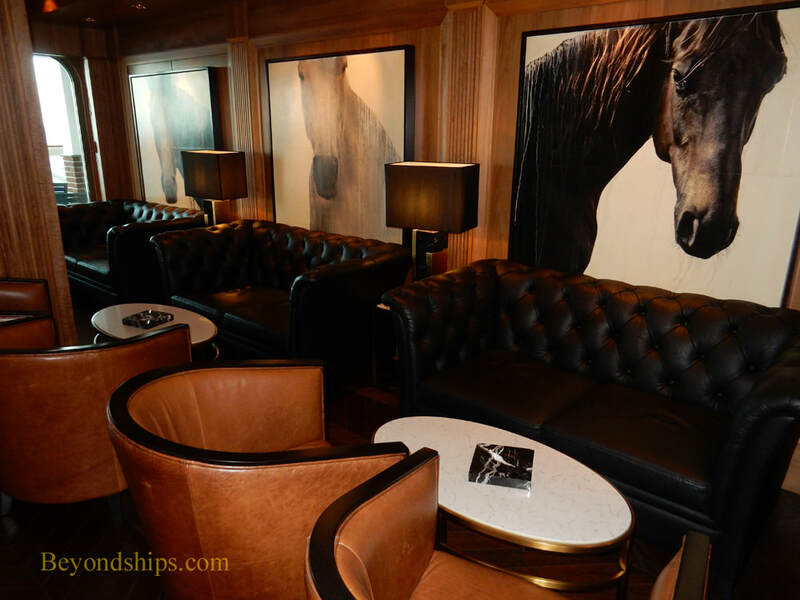 Adjoining Maltings in a separate room is the Humidor Cigar Lounge (below), where smoking is permitted. 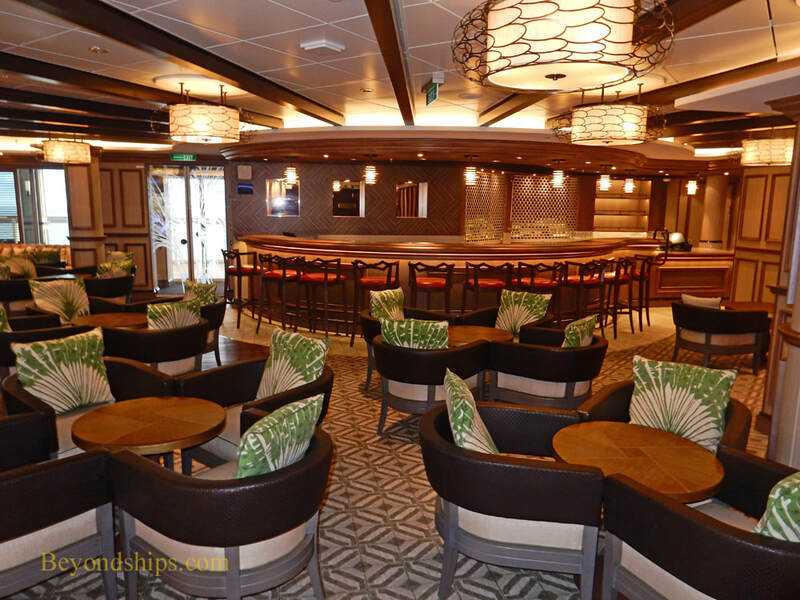 Midships on Deck 8 is The Sugarcane Mojito Bar. 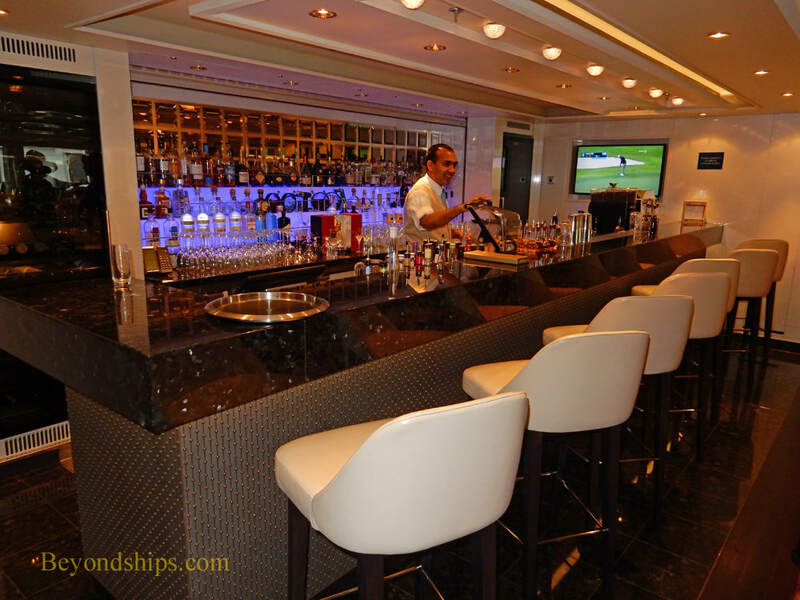 It features live piano music in the evenings. 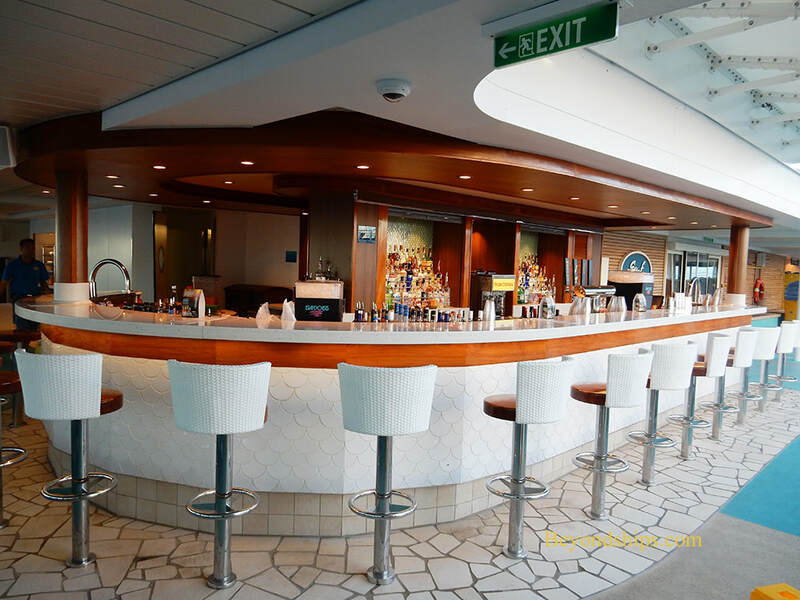 It also has an outdoor bar on the Waterfront. 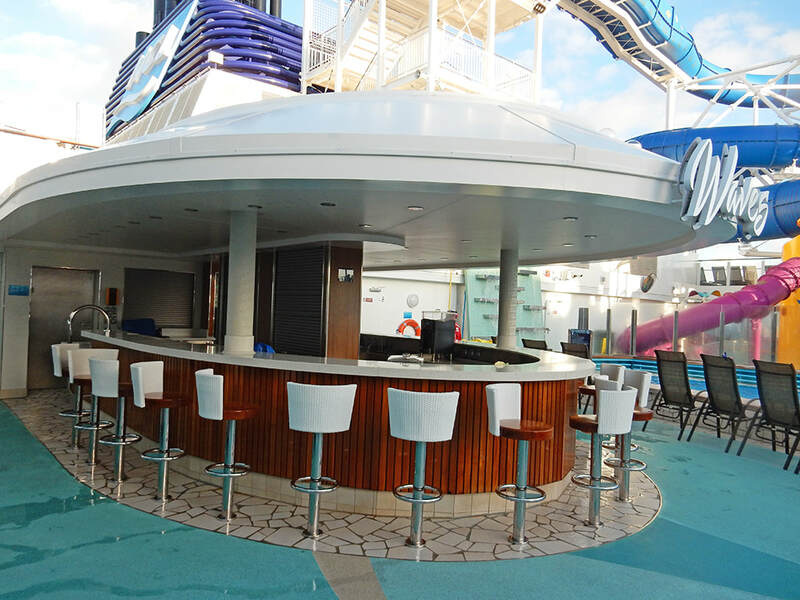 ​Aft on Deck 8 is the A-List Bar. 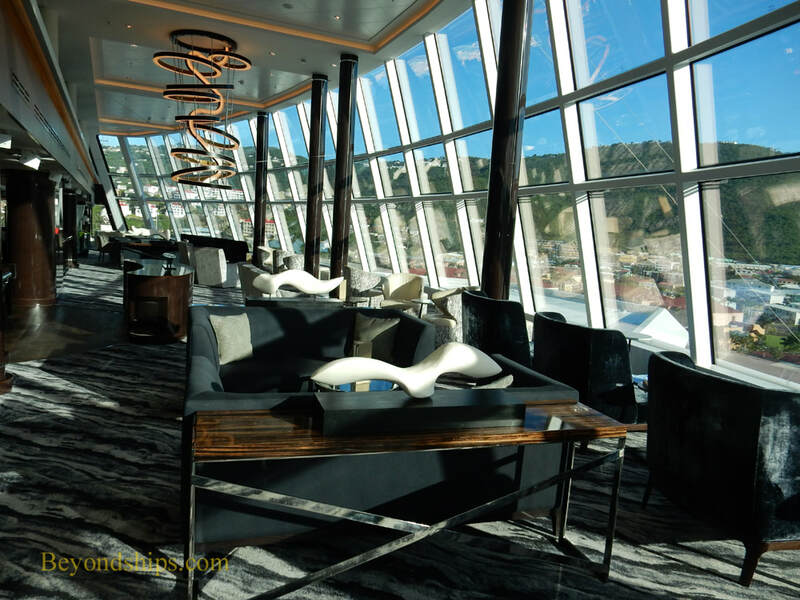 Named after Norwegian's President, Andy Stuart, it sits between Los Lobos and Cagney's specialty restaurants and is thus convenient for guests dining in those venues. 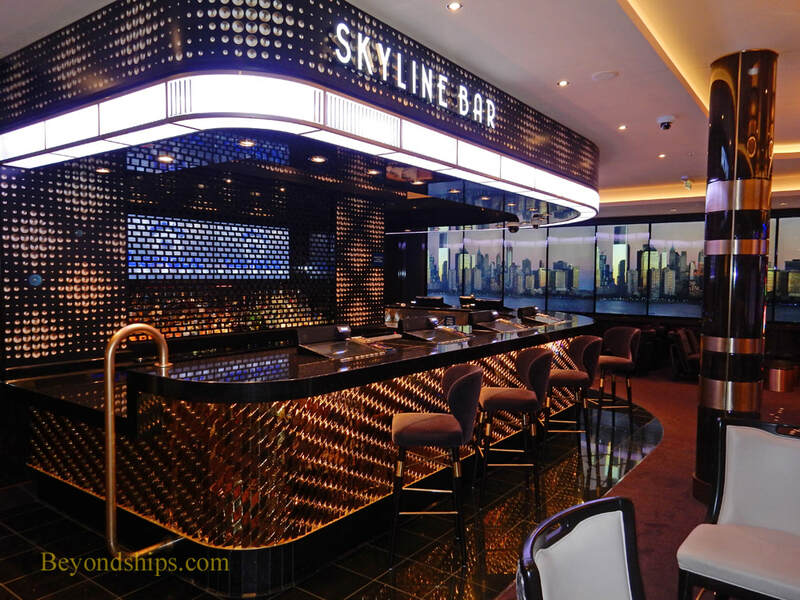 Moving to Deck 7, The Skyline Bar serves not only as the bar for the casino area but also as a separate lounge. 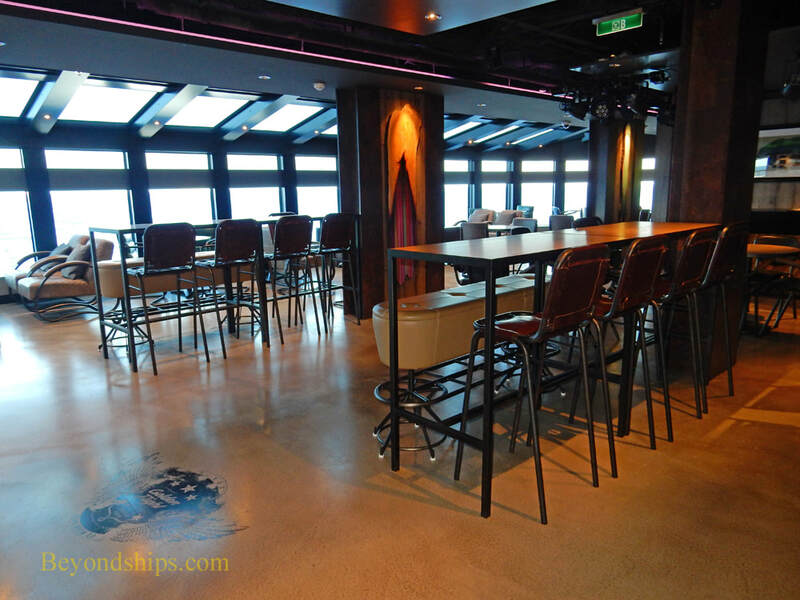 Further forward on Deck 7, The Local, which is both a bar and a casual eating venue (see page 8 of this photo tour). 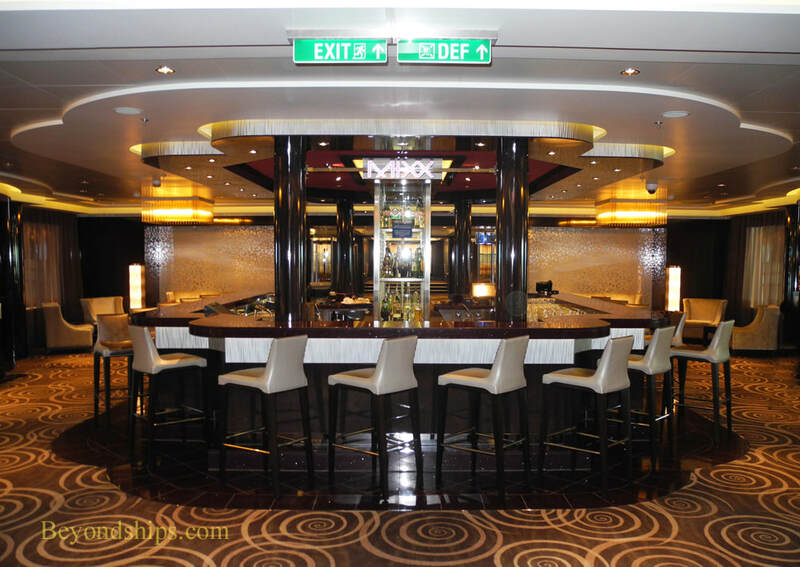 Turning to Deck 6, sitting between the Taste and Savor dining rooms is the Mixx Bar. It is thus convenient for before or after dinner drinks. 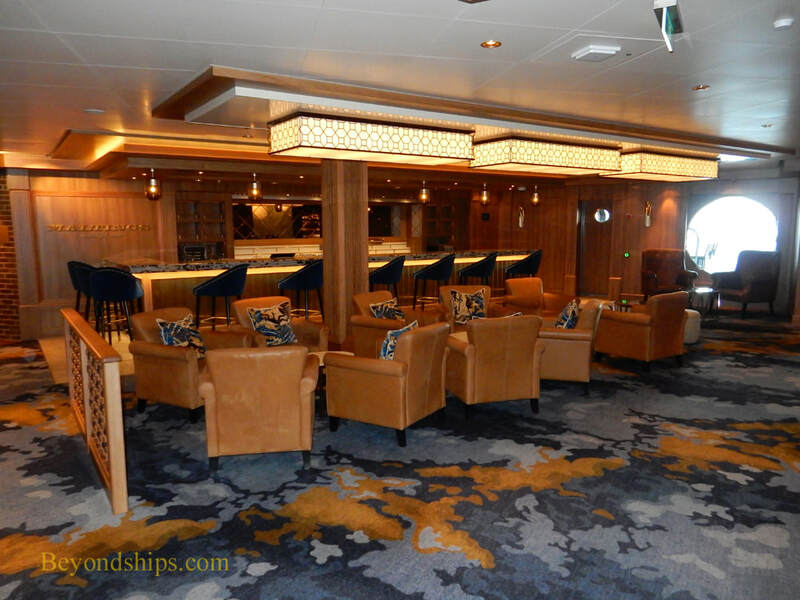 Forward on Deck 6 is the Atrium Bar, which serves the de facto living room of the ship. 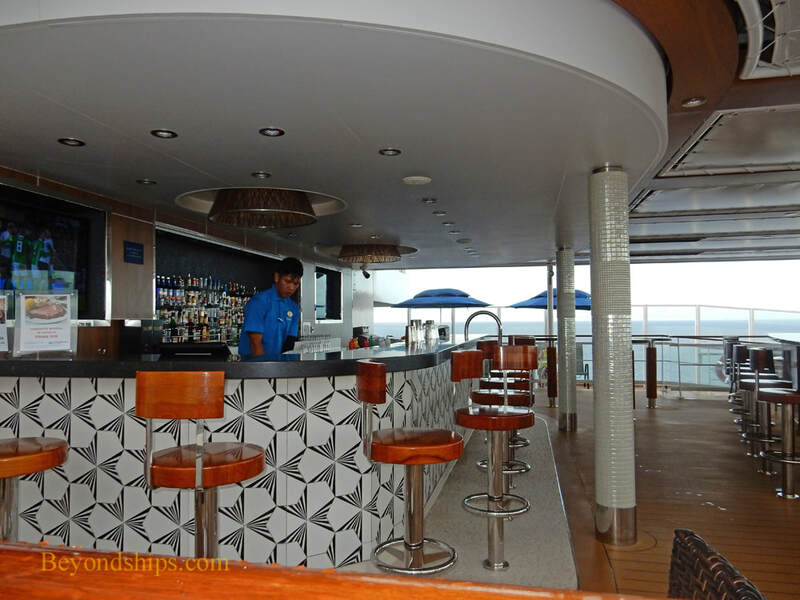 Bars serving the open decks include the double-decker Waves Bar (right) and the Surf Bar (below), both in the main pool area); and the Spice H2O Bar (below right). There is also a bar serving the Vibes Beach Club (not shown). 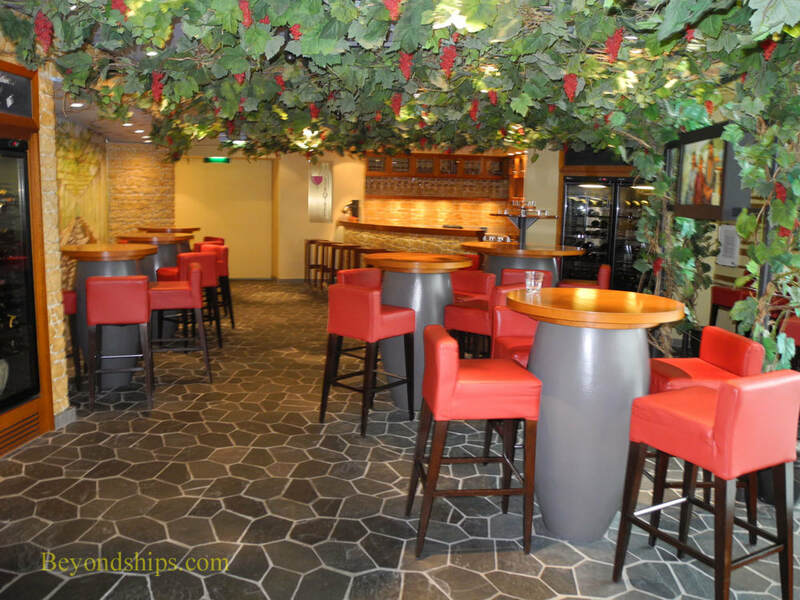 Guests staying in the Haven section of the ship have access to The Haven Lounge (left). 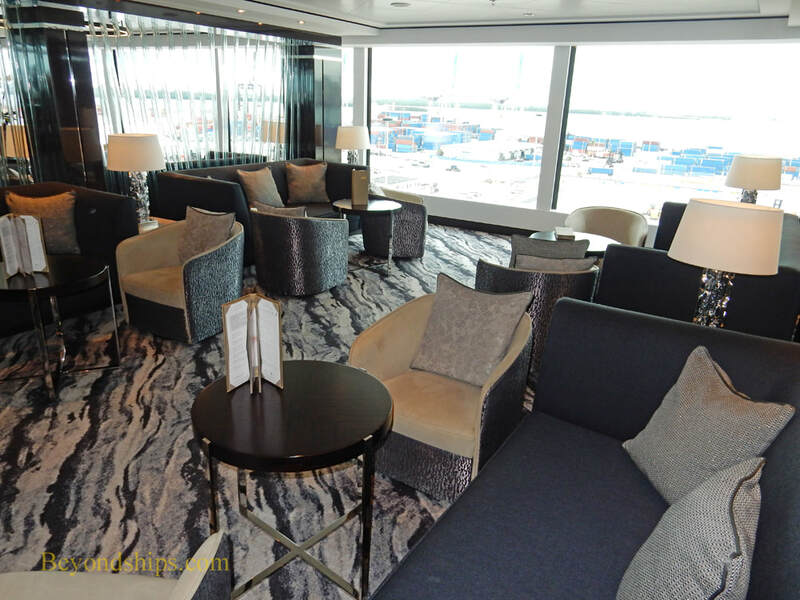 In addition, the Haven has the Horizon Observation Lounge, which has panoramic views over the bow and comfortable living room style furniture (below). Guests staying in the solo-occupancy studios have access to the Studio Lounge. 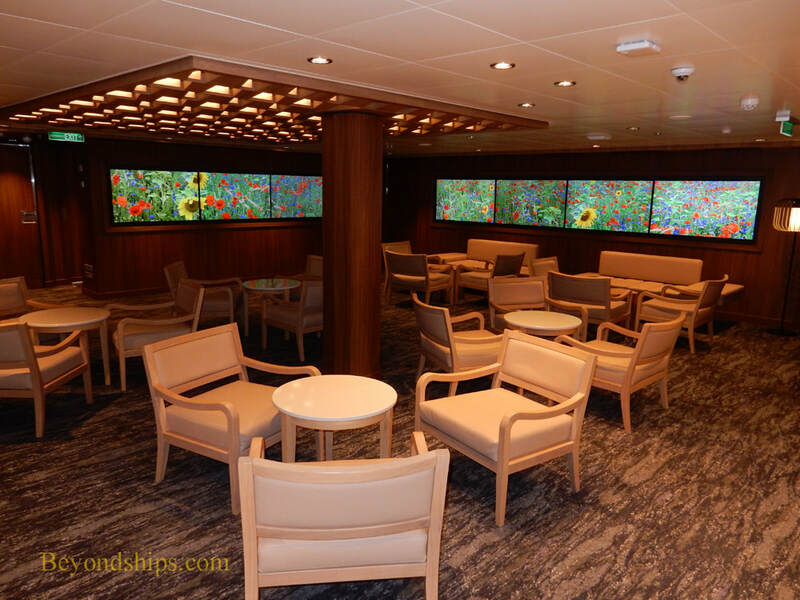 It has large video screens that show programming as well as views of the area surrounding the ship. 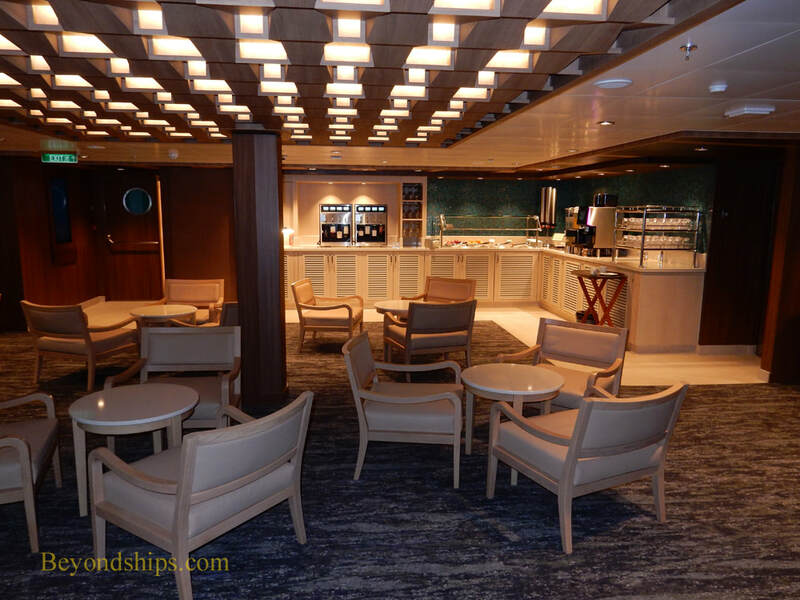 It also has a snack area with coffee, juices, breakfast pastries and cookies. 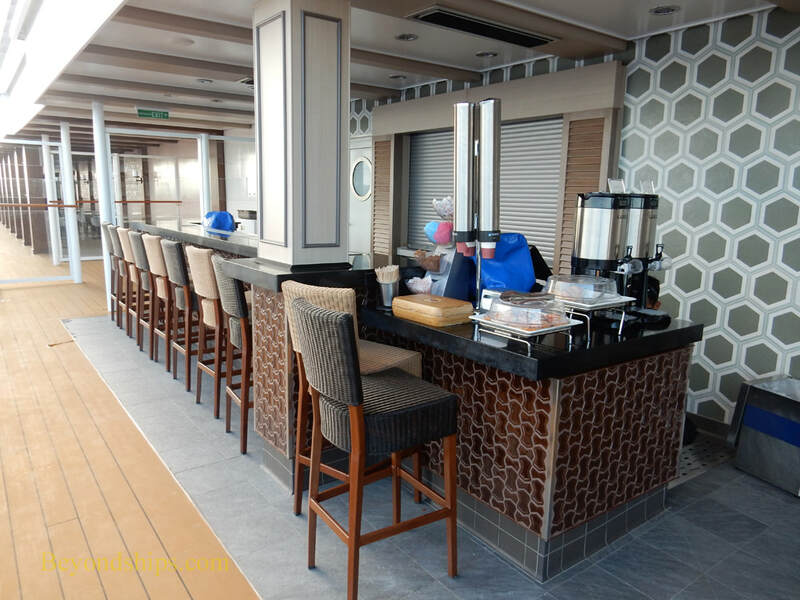 Unlike, the earlier Breakaway class ships, it does not have a bar. 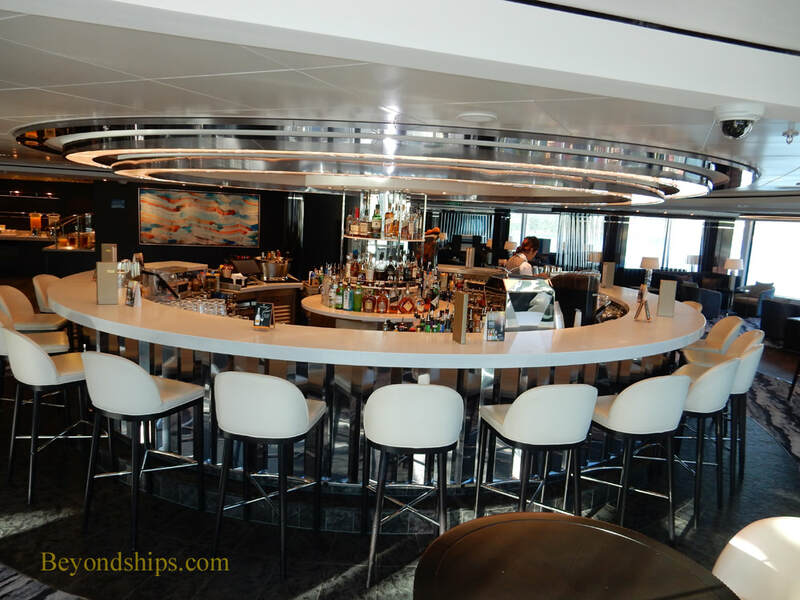 Cruise ship photo tour and commentary - - Norwegian Cruise Line - - Norwegian Bliss - - Bars and lounges.